Instagram announced on Tuesday, the addition of five new filters to its popular photo and video sharing app. It has been two years since Instagram has added any new photo filters to its app, and the company says that these are its best ones ever. With the addition of Slumber, Creama, Ludwig, Aden and Perpetua, the app now offers 25 filters that users can employ to enhance their photographs. In addition to the new filters, Instagram has changed its UI. When editing a photo, the app tray under a picture will show you a blurry look at it with each effect applied. This way, you can have an idea of what the final version of an image will look like before you post it to the site. Additionally, you can decide which filters show up in the app by using the new Manage button. Using this button will allow you to hide filters you don't use on your pictures. Instagram for iOS is now updated to version 6.4.0, and is available at the App Store. 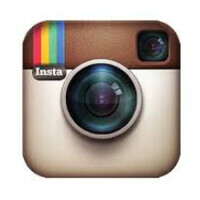 Instagram for Android is updated to version 6.12.0 and can be found at the Google Play Store.